Professor TANG Loon Ching is a Professor at the Department of Industrial & Systems Engineering (ISE) and the Director of Temasek Defence Systems Institute in National University of Singapore (NUS). LC Tang obtained his PhD in the field of operations research from Cornell University in 1992 under the NUS Overseas Scholarship. He has published widely in many leading international journals in the field of IEOM. He was presented the IIE Transactions 2010 Best Application Paper Award and the prestigious Ralph A. Evans/P.K. McElroy Awards for the best paper presented at 2011 Reliability and Maintainability Symposium. The latter award is widely recognized as a hallmark of excellence in the field of reliability and maintenance engineering the first time, and was the first time it went to authors affiliated to an Asian University in its 58-year history. He has been named 2014 IEOM Outstanding Educator by the IEOM Forum. He is an elected Fellow of the International Society of Engineering Asset Management. LC Tang is the editor of Quality and Reliability Engineering International and has been on the editorial review board of the Journal of Quality Technology, the flagship journal of American Society for Quality, since 2006, among others. He is the main author of the book: Six Sigma: Advanced Tools for Black Belts and Master Black Belts (which won the inaugural Masing Book Prize by International Academy of Quality); and a co-author of Markov-Modulated Processes and Semiregenerative phenomena. He is one of the founding members of Global Ports Research Alliance, IIE Asian Network and the steering committee of Logistics and Maritime Systems Conference Series; and has served as the General Chair of these conference series. Besides being active in the forefront of research in Industrial Engineering and Operations Management, LC Tang has also been engaged as consultant/trainer by many government agencies and MNCs in their enterprise transformation initiatives. To-date, he has trained and mentored more than 60 Master Black Belts and provided training to more than 3000 analysts, engineers and managers, from Singapore, Malaysia, Thailand, Israel, China, USA, Indonesia, India and the Philippines in the areas of Lean Six Sigma, Design for Six Sigma, Engineering Asset Management, Operations Research and Reliability Engineering. Professor Zhe George Zhang is a professor of Management Science in the Department of Decision Sciences at Western Washington University and a professor of Operations Management in Beedie School of Business at Simon Fraser University. He is also visiting professor of Sauder School of Business at the University of British Columbia. Dr. Zhang received his BS in Computer Science and MA in Economics from Nankai University, China; his MBA from the Schulich School of Business at York University; and his PhD in Operations research from the University of Waterloo. Professor Zhang has published many papers in prestigious journals such as Management Science, Operations Research, Manufacturing & Service Operations Management, Production and Operations Management, IIE Transactions, IEEE Transactions, Queueing Systems, Journal of Applied Probability. 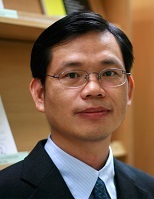 Co-authored with Professor Tian in 2006, he published the research monograph "Vacation Queueing Models - Theory and Applications," the first book on this particular topic (now highly cited). Professor Zhang's research interests include queueing theory and applications and stochastic models for manufacturing and service systems. The main theme of his research is to bridge the gap between theory and application, obtaining unobservable and sometimes counter-intuitive but significant/practical management insights via modeling and quantitative analysis. Currently, he is particularly interested in the quantitative and economic analysis of the congestion problems in urban/mass transportation networks, health/medical care systems, and public service systems with both customer service quality and security concerns. As an expert in data analysis and quantitative modeling, he has consulted in industry and has given research seminars and short lectures at leading universities around the world. 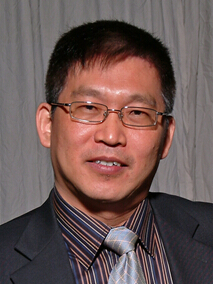 He was invited to present plenary or keynote talks in several international conferences.Professor Zhang is the one of Editor-in-Chiefs for new journal Queueing Models and Service Management, aan associate editor of INFOR (Information Systems and Operations Research), and is on the editorial board of several international journals in Operations Research and Management Science. Professor Felix T. S. Chan received his BSc Degree in Mechanical Engineering from Brighton Polytechnic (now University), UK, and obtained his MSc and PhD in Manufacturing Engineering from the Imperial College of Science and Technology, University of London, UK. Professor Chan is now working at the Department of Industrial and Systems Engineering, The Hong Kong Polytechnic University, and also serving as Associate Dean (Research) at the Faculty of Engineering. His current research interests are Logistics and Supply Chain Management, Operations Management, Distribution Coordination, Systems Modelling and Simulation, AI Optimisation. To date, he has published 16 book chapters, over 300 refereed international journal papers and 250 peer reviewed international conference papers, h index= 30 under the Web of Science. He is a chartered member of the Chartered Institute of Logistics and Transport in Hong Kong. According to a study lately published in the International Journal of Production Research (http://dx.doi.org/10.1080/00207543.2015.1037935), the study measured the research contributions over a 26-year time frame (1985-2010) of academic institutions and individual authors to the field of Operations Management (OM) based on published articles in 11 top-rated and well-known academic OM journals. Professor Chan was among the top 50 prolific authors list who have made the greatest overall contribution to the field as measured by the number of distributed and shared articles published in the 11 designated journals. Also, Professor Chan was Ranked No. 3 in The top 100 authors as the most productive researchers in the field of Operations Management over the past 10 years (2001-2010). Professor Shey-Huei Sheu is a Chair Professor of Department of Statistics and Informatics Science at the Providence University. He is an Honorary Chair Professor of the Department of Industrial Management at the National Taiwan University of Science and Technology. He received his M.S. degree (1979) in applied mathematics from the National Tsing Hua University and his Ph.D. degree (1987) in statistics from the University of Kentucky. He has published in journals such as Naval Research Logistics, Journal of Applied Probability, RAIRO Operations Research, Microelectronics and Reliability, Reliability Engineering and System Safety, International Journal of Systems Science, Quality and Reliability Engineering International, International Journal of Reliability, Quality and Safety Engineering, Journal of the Operational Research Society, European Journal of the Operational Research, Computers and Operation Research, Computers and Industrial Engineering, Quality Engineering, Asia-Pacific Journal of the Operational Research, Communications in Statistics-Theory and Methods, Computers and Mathematics with Applications, Simulation Modeling Practice and Theory, Communications in Statistics-Simulation and Computation, Journal of Statistical Computation and Simulation, International Journal of Production Economics, Quality Technology and Quantitative Management, The International Journal of Advanced Manufacturing Technology, Expert Systems, International Journal of Computer Mathematics, Journal of Applied Statistics, Production Planning and Control, International Journal of Production Research, Applied Mathematical Modelling, IEEE Transactions on Reliability, and Annals of Operations Research. 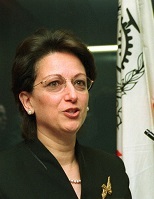 Soumaya Yacout is Professor of Industrial Engineering and Operations Research in the Department of Mathematics and Industrial Engineering at Polytechnique Montréal, in Canada. She is also the owner, President and CEO of DEXIN inc. , an enterprise dedicated in offering state of the art technologies and data-driven solutions to help companies in acheiving the highest level of performance. She received a D.Sc. in Operations Research from the Georges Washington University in U.S.A. in 1985, a B.Sc. in Mechanical Engineering in 1975 and a M.Sc. in Industrial Engineering in 1979 from Cairo University in Egypt. She was the recipient of the Fulbright special Peace Fellowship from 1980 to 1981, and also received the Executive Training in Six Sigma, ISO9000 in auditing, and lately data science-machine learning program. She held the position of the Dean of Engineering at the University of Moncton in 1997 and the position of the Academic Dean at École Polytechnique in 1999. From 2001 to 2004 she acted as member of the Higher Education and Research Committee of the Superior Council of Education of Québec. Since 1995 she has been member of visiting teams for the accreditation of engineering programs by the Canadian Engineering Accreditation Board of the Canadian Council of Professional Engineers, and in 2010, she was nominated as member of the Strategic Projects Selection Panel for Competitive Manufacturing and Value-Added Products and Processes of the Natural Sciences and Engineering Research Council of Canada. Ontology Modeling in Physical Asset Integrity Management, co-editor and the co-author of a book on minimal repair; invited editor of the special issue on Condition based Maintenance for the Journal of Intelligent Manufacturing, and invited coauthor of the book: Current Themes in Engineering Technologies. She is the Associate Editor of the Annual Reliability and Maintainability Symposium. She holds a US patent about fault diagnosis and prognosis of physical asset by using machine learning Logical Analysis of Data (LAD). Mu-Chen Chen is a Professor of Department of Transportation and Logistics Management in National Chiao Tung University, Taiwan. He is also a Guest Professor at the School of Commerce in Meiji University, Japan. He received his Ph.D. in Industrial Engineering and Management from National Chiao Tung University. His research interests include supply chain management, logistics service innovation, service quality, big data analytics and meta-heuristics. His research explores supply chain management and logistics service management with the applications of business analytics and optimization. He has published papers in journals such as IIE Transactions, Information & Management, International Journal of Physical Distribution & Logistics Management, International Journal of Logistics Management, IEEE Transactions on Systems, Man and Cybernetics: Systems, IEEE Systems Journal, Transportation Research Part C: Emerging Technologies, Transportation Research Part E: Logistics and Transportation Review, International journal of Production Research, International Journal of Production Economics, Maritime Economics & Logistics, European Journal of Operational Research, Omega, Computers & Industrial Engineering, International Journal of Operations & Production Management, IEEE Transactions on Semiconductor Manufacturing, Trends in Food Science & Technology, Food Quality and Preference, Food Control, Technological Forecasting and Social Change, Information Sciences, Neurocomputing, Telematics and Informatics, Data Technologies and Applications, Expert Systems, Intelligent Data Analysis, Computers in Industry, Journal of Transport Geography, International Journal of Tourism Research, International Journal of Hospitality Management, Total Quality Management & Business Excellence, Journal of Quality, International Journal of Industrial Ergonomics, Computers in Human Behavior, Information Technology for Development, International Journal of Environmental Science and Technology, etc. He is Editor-in-Chief of the Journal of Management and Systems. 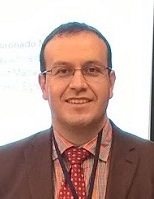 Adrian E. Coronado Mondragon is Senior Lecturer (associate professor) in Technology and Operations Management at the School of Management, Royal Holloway University of London, UK where he teaches Operations Management at Postgraduate and Undergraduate levels. He holds a PhD from Brunel University, West London, UK. He has teaching experience in the UK, Hong Kong, Singapore, Taiwan and Spain. His research interests cover audit tools for supply chain performance, multimodal logistics, modularity and mass customisation, Internet of Things (IoT) and Big Data in logistics and the use of blockchain technology in the supply chain of composite materials and perishable goods/temperature controlled supply chains. His research work has been funded by the UK’s Engineering and Physical Sciences Research Council (EPSRC), Technology Strategy Board (TSB) and the Chartered Institute of Logistics and Transport (CILT). His most recent work has been published in Computers & Industrial Engineering, Journal of Business Research, International Journal of Production Research, Transportation Research Part A: Policy and Practice and Production Planning & Control. 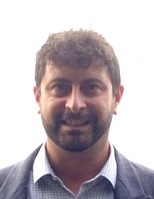 Roberto Montemanni is professor of advanced algorithms at the University of Applied Sciences of Southern Switzerland. He is also active as senior researcher at the Dalle Molle Institute for Artificial Intelligence, Switzerland. He obtained a Laurea degree in Computer Science from the University of Bologna, Italy in 1999 and a Ph.D. in Applied Mathematics from the University of Glamorgan, UK in 2002. He is leading basic and applied research projects both at national and international levels. His research interests are primarily in the fields of mathematical modeling, algorithms and machine learning, with applications in transportations, logistics and industrial engineering. He has authored more than 100 peer-reviewed research papers. Abstract: Symbioptima is an EU project proposing a new paradigm for industrial clusters: the human-mimetic symbiosis. Drawing inspiration from one of the most complex biological organism, namely the human body, it promotes the mutual interaction of diverse industries, also among different sectors, for beneficial reuse of flows (e.g. water, waste, by-products, energy, recycled materials) that could result in a more resource-efficient production at network level, and in fewer adverse environmental impacts. Synergy and optimization of the flows of a cluster are obtained thanks to the hierarchical decentralization of operations management tasks to multiple collaborating Production Units, integrating at inter-plants and cross-sectorial level the monitoring, supervision and shared optimization of their activities. A main topic in such a context is however to be able to guarantee an even distribution among the participating production units of the extra profit generated through the flow reuse process. In this talk, we model the system through mathematical programming and we propose a solution based on a series of linear programs that maximises and balances the profit between the production units participating in the symbiosis. 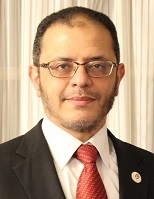 Amr Eltawil is a professor in the department of Industrial Engineering and Systems Management, also, he is the dean of the School of Innovative Design Engineering of the Egypt-Japan University of Science and Technology (E-JUST), Alexandria, Egypt. He is on leave from the Faculty of Engineering of Alexandria University. The research interests of Prof Eltawil, are in the fields of applied operations research and discrete event simulation in supply chain design and management and production planning and scheduling. Areas of interest include among others service systems planning and management especially container terminal related decisions, healthcare applications and call centers, as well as transportation and logistics and supply chain network design.